Your Child or Your Cigars? Family Part courts deal with highly intimate and sensitive matters. As a result, orders issued by Family Part judges can feel intrusive and controlling. However, there are lengths to which Family Part judges will not go to enforce compliance with earlier orders, even where a child’s well-being is implicated. 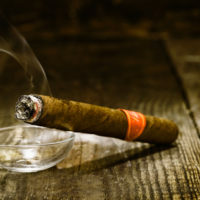 A recent decision from the Appellate Division upheld the decision not to eliminate a father’s overnight visits with his smoke-sensitive daughter where he was accused of smoking in her presence. The parties to the case of Arrowood v. DiBenedetto were the parents of a young daughter. The mother held residential custody, and the father held overnight visitation with the daughter. According to records from the daughter’s pediatrician, the daughter had a medical condition making her sensitive to smoke, such that she should never be exposed to it. The father had a history of smoking and, according to the mother, was still smoking in his daughter’s presence, thus damaging her health. The mother had repeatedly sought the court’s help in compelling the father not to smoke around their daughter. In all, the mother had obtained six orders from the Family Part court, stating that the father was not to smoke around the daughter, and that the court retained the right to sanction the father in some way if it could be proved that he had. After hearing from her daughter that the father had again been smoking in her presence, the mother requested an order terminating the father’s overnight visitation with his daughter. The mother claimed that, during a phone call to her daughter, the daughter had said that she and a friend had been outside telling their fathers to stop smoking. Additionally, the mother claimed that the father had admitted to smoking around his daughter in an earlier order. However, the Family Part judge found the mother’s request to be one for an “amount of control. . . [which] exceeds normal bounds,” and further, one that lacked evidence. The Appellate Division ultimately agreed and denied the motion. The Appellate Division emphasized the degree to which the Family Part judge’s discretion is trusted when evaluating the parties’ testimony. Additionally, the opinion noted that much of the evidence the mother had presented was hearsay, an unreliable and typically inadmissible form of evidence. The court emphasized the fact that terminating visitation was a drastic remedy, and that the court required robust evidence to sanction a parent in this manner. In its opinion, the Appellate Division pointed out the absence in the mother’s appellate filing of a number of documents which the justices would have found informative. In fact, the mother described a certification where she claimed that the father admitted to smoking around the daughter. Had the mother included the certification in the papers she filed along with her appeal, it had the potential to be “dispositive” evidence, or evidence which would have proved the assertion at the center of her case. The opinion pointed out that the mother was not represented by counsel, but that instead both parents were acting as their own attorneys. When you’re fighting for something important such as your child’s health or your right to sustain a relationship and regular visitation with your child, make sure you offer yourself the best opportunity to succeed on those claims by seeking help from an experienced New Jersey family law practitioner. If you are in need of experienced and dedicated legal help with your New Jersey divorce or custody dispute, contact the Union offices of family law attorney John B. D’Alessandro for a consultation on your case, at 908-964-0102.